Clarity is one of the 4Cs of diamond classification. It is a measure of the extent to which a diamond contains internal (inclusions) or surface (blemishes) flaws. Each inclusion or blemish will detract from the brilliance of a polished diamond. 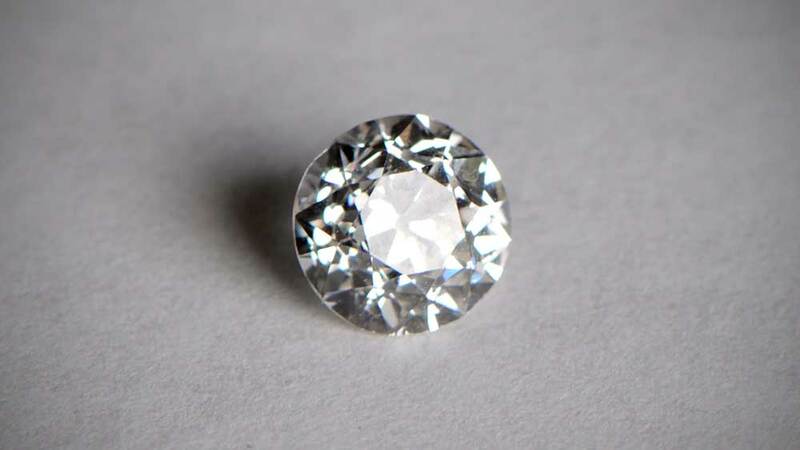 The flaw will interfere with the refraction of light as it travels through the diamond. There are many diamond Clarity Charts that try and break down the blemishes in diamonds and their grades. Unfortunately, most of them are only useful for experts. 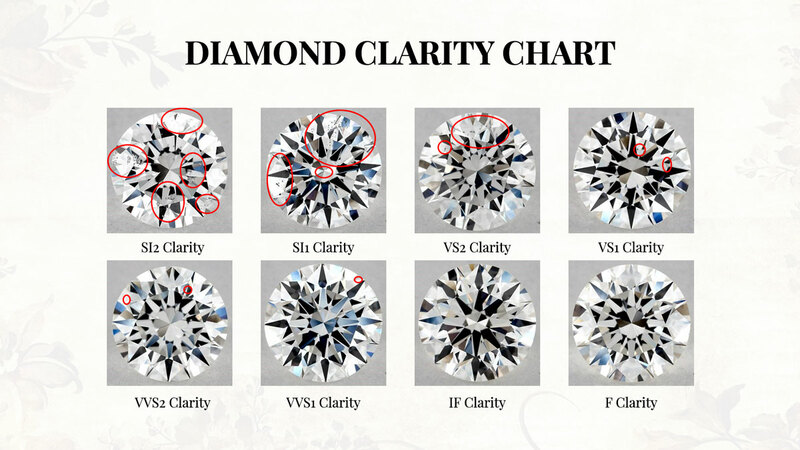 We created two charts to help you understand diamond clarity. The first one shows the diamonds in their order (ranking from SI2 – F Clarity) as they are. 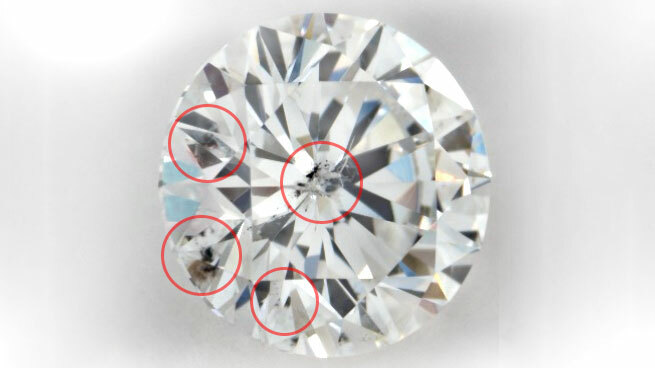 The second chart shows the visible inclusions on the diamond. Here is the second chart. We’ve circled the visible inclusions. Please note that the IF Clarity and F Clarity don’t have any visible inclusions. What Causes Inclusions and Blemishes? Diamonds will take over a period of between 1 and 3 billion years to form. Despite their unique structure and composition, it is inevitable that the stones acquire flaws and imperfections along the way. The diamond cutter will take great effort to work around these flaws. A long process, usually complicated by fault lines, dictates where the cut will be made. Flawless diamonds aren’t common and become extremely rare once sizes get above 2 carats. Most rough stones large enough from which to produce larger diamonds rarely are free of inclusions. 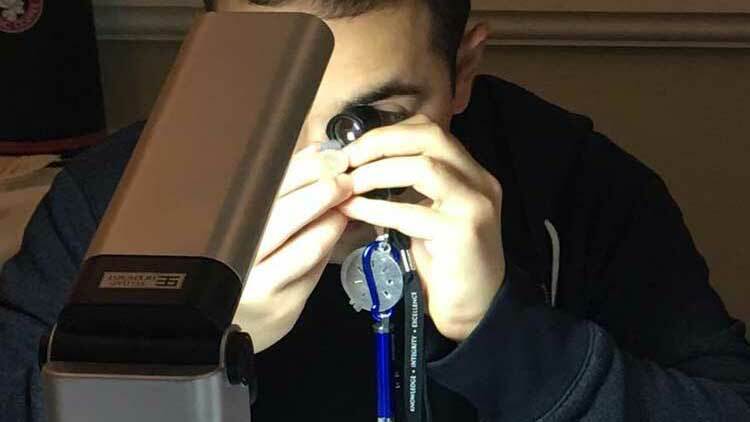 Diamonds are graded using a 10x Loupe, a special magnifying lens used by jewelers and other industries to get a close-up view of things that might not be seen with the naked eye. Blemishes, being surface issues, are usually easier to see than inclusions, and occasionally may be located using the naked eye. Inclusions, on the other hand, can’t. 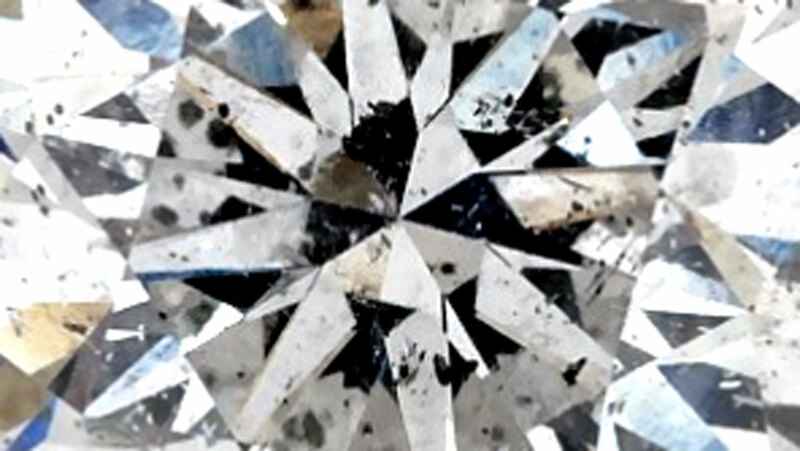 If a very large inclusion can be seen without a loupe, the diamond is poor quality. Poor quality diamonds will usually be used for industrial cutting types of equipment. One exception is with black diamonds. Black diamonds aren’t actually black. They are so included that light cannot escape, giving the appearance of the diamond being black. Black diamonds, whilst rare, are not generally sought after. 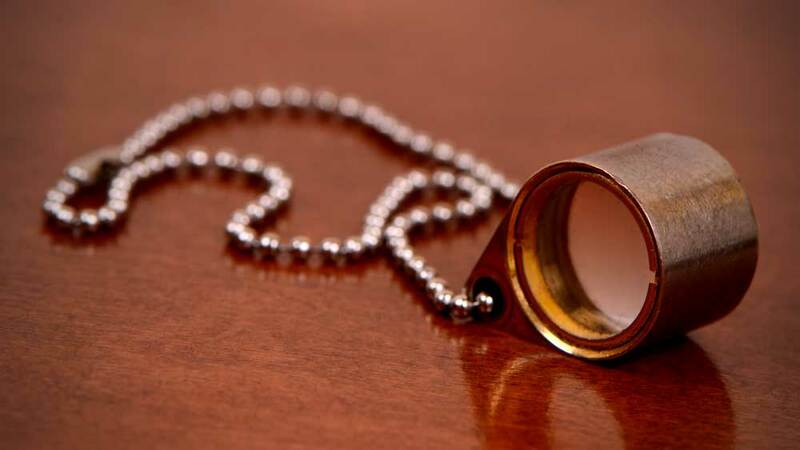 They aren’t usually used unless explicitly specified for a certain design of a ring or jewelry piece. If inclusions or blemishes cannot be avoided in the finished stone, the stone will have been polished in a special way. Usually, the cutter will try and position the inclusion as close to the girdle as possible. Inclusions beside the girdle are harder to see and have less effect on the brilliance of the diamond. The clarity of a polished diamond is graded on a scale ranging from Flawless (FL) to Included Grade 3 (I3). Flawless diamonds have no visible inclusions or blemishes. Only around 0.02% of all the diamonds produced are flawless. 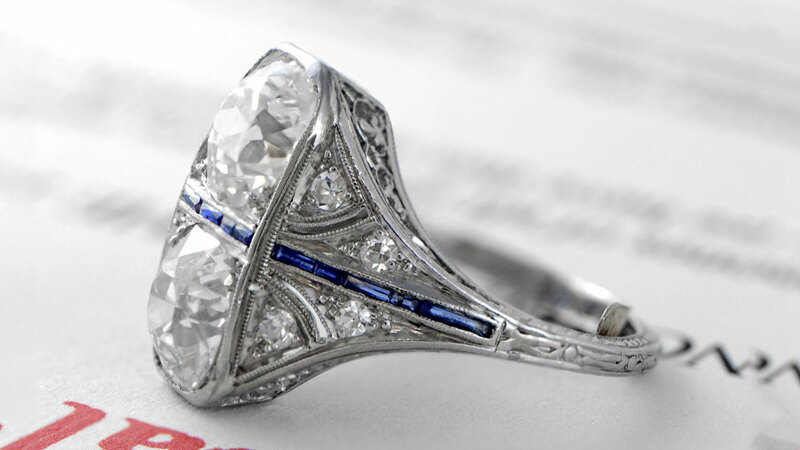 Such a grading plays a large part in the valuation of a diamond. Although Internally Flawless (IF) diamonds have no inclusions, they will have blemishes that can be seen at 10x magnification. Slightly Included Grade 1 (SI1) is the 7th level of clarity on the scale and is considered the final grade at which inclusions cannot be seen with the naked eye. The next level (SI2) will have inclusions that are visible without magnification. They will also require further, magnified, inspection to determining the extent of the inclusions effect on the overall clarity. SI2 usually visible but require closer inspection to determine the extent to which they affect the grade. VS2 indicates inclusions may be detectable by the naked eye, under ideal viewing conditions. SI1 and SI2 feature slight inclusions. SI1 Clarity is the lowest grade at which inclusions are invisible to the naked eye. FL Flawless – No inclusions or blemishes detectable under 10x magnification. IF Internally Flawless – No inclusions detectable under 10x magnification. Blemishes detectable under 10x magnification. VVS1 and VVS2 Very Very Slightly Included – Inclusions are difficult to detect under 10x magnification, but are present. VVS1 inclusions are detectable from the pavilion, and VVS2 from the crown. VS1 and VS2 Very Slightly Included – Inclusions clearly visible under 10x magnification, but usually classed as a minor. I1, I2, and I3 Included – The lowest grade on the scale, and may have quite pronounced exclusions clearly visible to the naked eye. We like to think of all diamonds as being truly natural. There are techniques however that can adjust the appearance of polished stones. One example is laser modification. Advanced lasers will drill a very fine hole from the surface to the inclusion. They then insert acid into the hole in order to bleach the inclusions and make it more difficult to detect. The GIA won’t certify diamonds with fracture-fillings. Fracture-filled diamonds aren’t true and are, therefore, unnatural. Make sure that you check your certificate to determine that your diamond is truly natural. There is something very special about owning a flawless diamond. They are very rare and hard to come by. There is, however, a catch. They come with a significant price premium attached. If you want an investment diamond, then IF and F clarity may be a good idea. If you don’t want to spend a lot of amount of money, you may need to settle for VVS1 and lower. Although VVS2 and VVS1 are much more expensive than VS1 and VS2, most experts cannot even tell them apart. If you want a diamond that shows no visible inclusions and is affordable our recommendation would be to focus on VS1 and VS2. If you don’t a few small visible inclusions you can even drop to SI1. We strongly recommend not going less than SI1 unless you have no choice. If you can live with the knowledge that your diamond is less than perfect, you can compromise without any perceived loss in quality. Unless an expert is examining your diamond, most average quality diamonds will not show any inclusions. Clarity is but one element which influences both the appearance and value of a diamond. With clarity, an expert eye is most important when assessing whether a particular diamond is right for you. A reputable jeweler will always be willing to explain why a diamond has achieved a particular grade. Don’t be afraid to ask for help and advice.